Our most popular collection! The Jack collection by Jennifer Taylor Home is the perfect addition to any living space looking to add a bit of a modern flair. Crafted beautifully with solid kiln dried birch wood, upholstered with high quality fabrics, and accented with diamond hand tufting along the back and inner arms with decorative cord outlines, this tuxedo love seat brings class, style, and lounging comfort to any room in the home. Due to the many variations in monitors and browsers, colors may appear different on different monitors. Since it is not possible to guarantee our online colors will look the same on all computers, we do not guarantee that what you see accurately portrays the color of the actual product. If it is important that the sample be exact, we highly recommended that you order a swatch sample first, before placing the order. 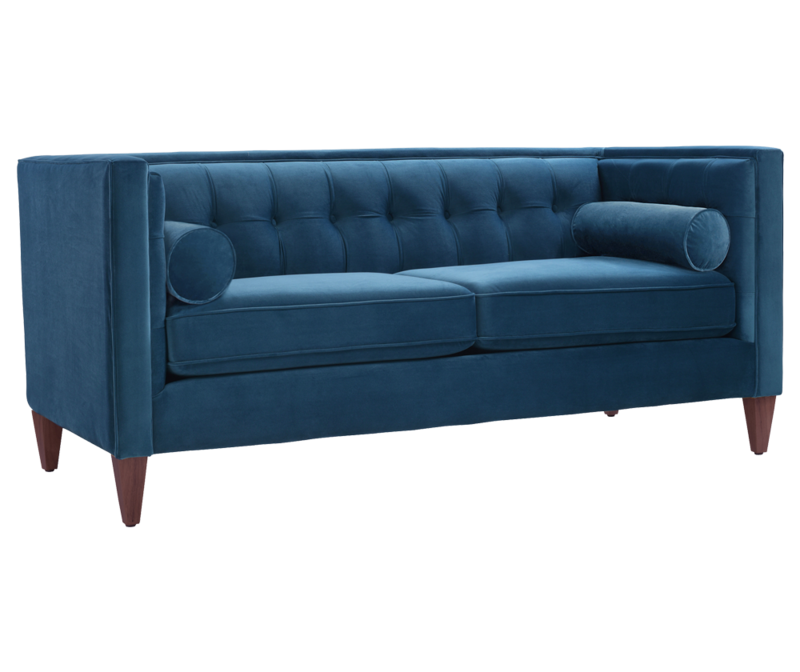 Masterfully handmade by experienced furniture craftsmen and women, the Jack Tuxedo Loveseat is our most popular collection. 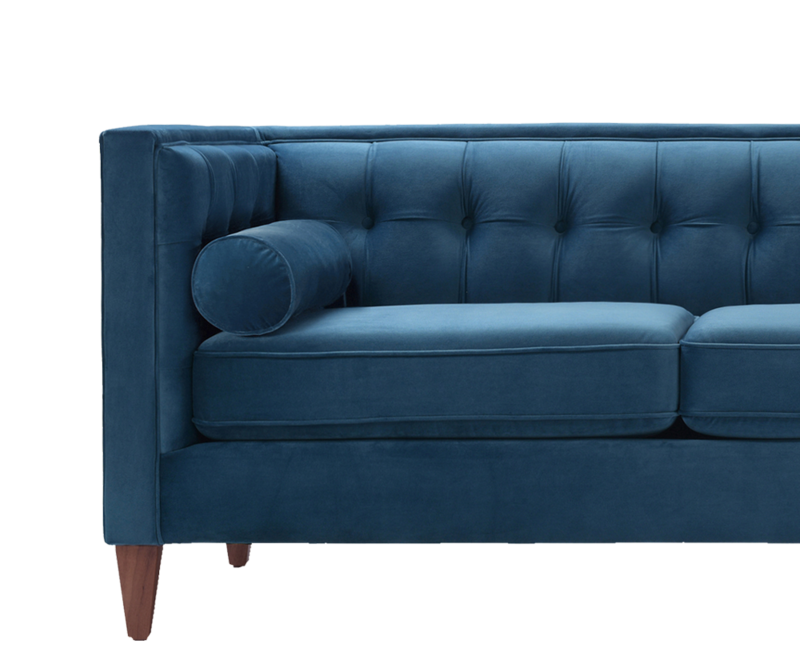 This charming loveseat made for two is a great addition to smaller spaces. Crafted from birch, this loveseat is built to last. The Jack Tuxedo Loveseat is made from premium woven polyester wrapped around high-density flame-retardant foam padding and cushions for a medium firm feel. This cozy loveseat comes with two bolster pillows. Available in six beautiful colors to choose from. The sofa photographs lighter than it actually is, but it is beautiful! I think it is very comfortable and adds a glam feel to my living room. I purchased the loveseat but it's a great size for a smaller space. So far I am extremely happy with my purchase. I absolutely love my new couch! The color is amazing and looks better than the photo. I love that the couch was packaged well within the box and easy to put together. It feels comfy and looks amazing with my hat chaise! Thank you!